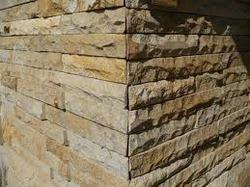 We are enlisted amongst the recognized names in the industry, exporting and supplying comprehensive range of Stone Wallings. Our entire product range adds attractive look to the walls and is delivered in well-defined time frame. 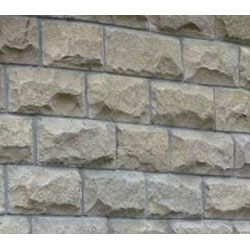 We offer our clients fine quality range of Corner Vineer Stone that caters diverse requirements of construction sites. Our entire product range has smooth surface finishing and is durable in nature. Our entire product range has high strength and is delivered in varied standard sizes. Moreover, we offer them at most affordable erase. 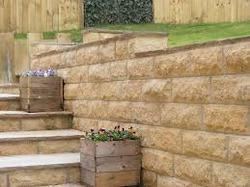 Enriched with vast industrial experience, we offer an extensive range of Riven Sandstone Walling that are durable in nature and are dimensionally accurate. Our entire product range is processed using advanced techniques and methods thereby delivering an exceptional range of products in the global market. These products are quality tested and are weather-resistant in nature. Being the leading names in the industry, offering wide range of Tumbled Walling Stone that are quality assured and are designed with perfection. Our products are abrasion resistant in nature and are delivered in varied standard sizes. With the assistance of experienced professionals, we are able to carve notable position in the industry. We hold expertise in offering our clients an extensive range of Natural Sandstone Walling that is quality assured and is weather-resistant in nature. We offer them in varied standard sizes and have smooth surface finishing. Our professionals, closely co-ordinate with our clients and deliver the entire product range accordingly. 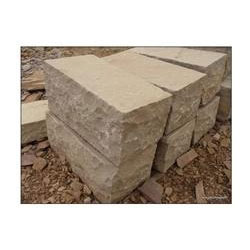 Keeping in mind the diverse requirements of the clients, we offer wide range of Sandstone Garden Walling that are durable in nature and are designed with perfection. 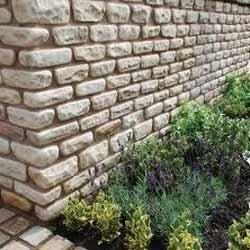 These products are easy to plea and add attractive look to the surroundings. Our entire product range is valued among the clients for its smooth texture and elegant designs.